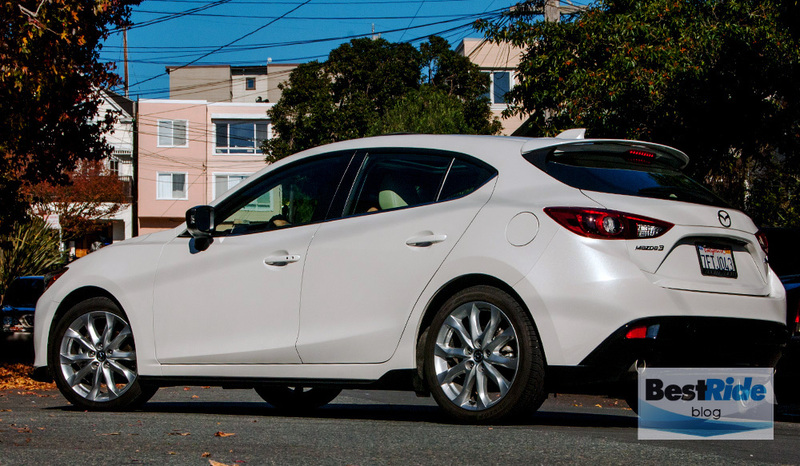 There are two groups regarding the Mazda3: either people like it, or they haven’t driven it yet. It’s rare to find a car that is so sensible while being so stylish and fun. 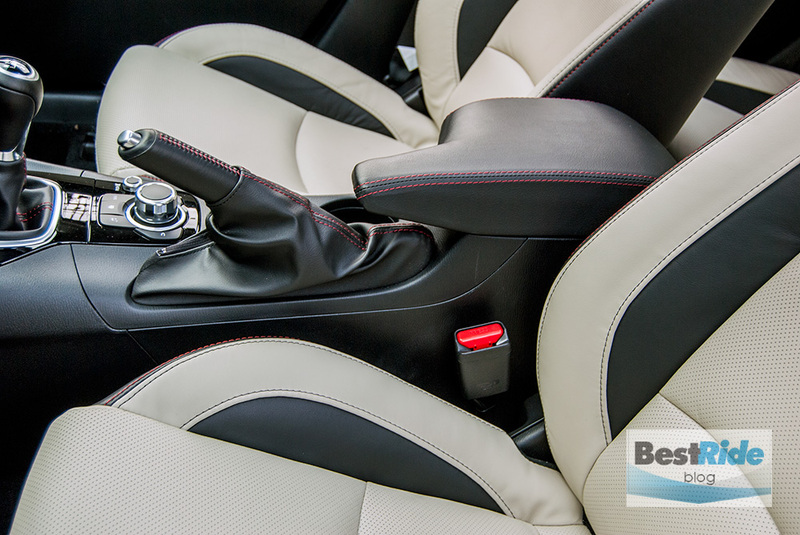 The Mazda3 has been a top choice in compact sedans since it hit the market in 2004. 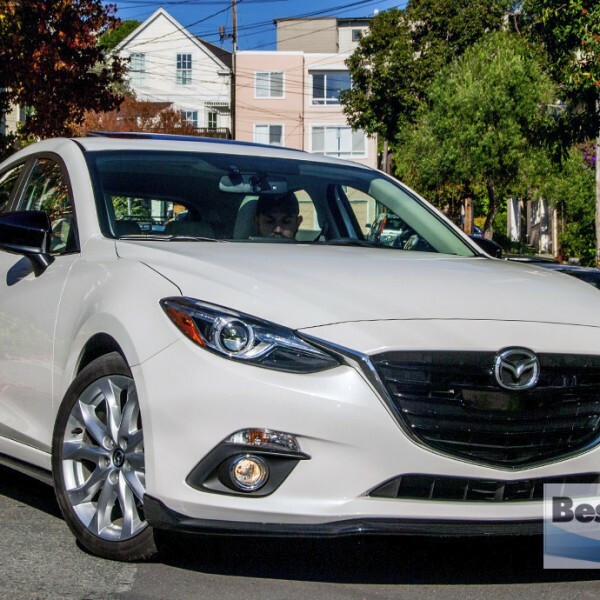 Entry price remains low at $16,945 for a Mazda3 i SV – no Bluetooth and plastic hubcaps, but it has a peppy 155-horsepower four-cylinder engine mated to a slick-shifting six-speed manual transmission. 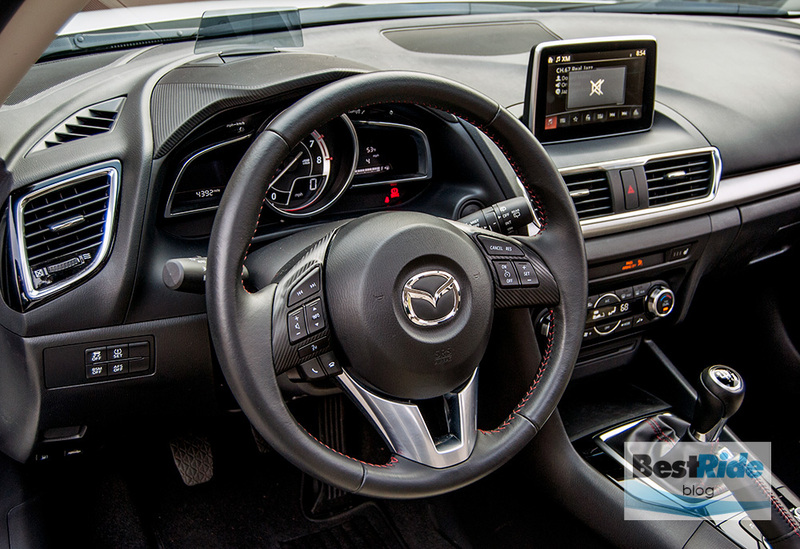 Adding $1,500 for the i Sport gets you Bluetooth and a seven-inch screen with the MAZDA CONNECT entertainment suite. with hookups to things like Pandora and SMS texting. 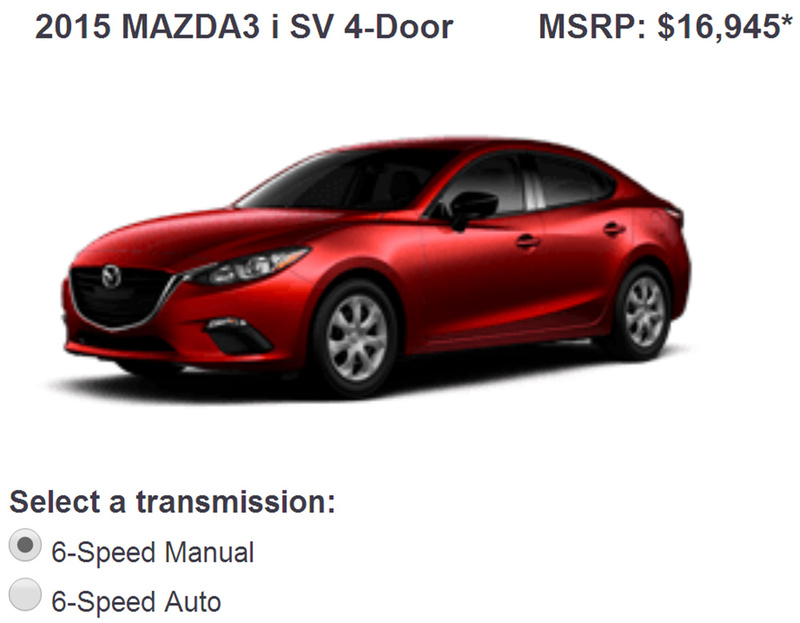 Then there are two more trims running you up the ladder to the Mazda3 s. Changing the i for the s swaps in the 184-horsepower 2.5-liter four, and you still have a choice of manual or automatic. The Grand Touring is the top sedan at $25,045, and the hatchback adds $500 to the price of each trim. By the way, there is no base SV hatchback; the sedan is alone to claim loss-leader status. 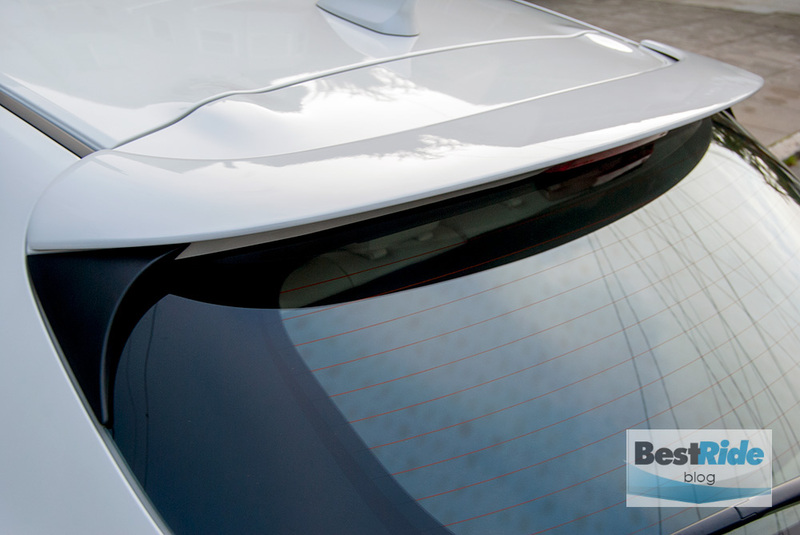 This tester is an s Grand Touring with a few options to make it prettier. 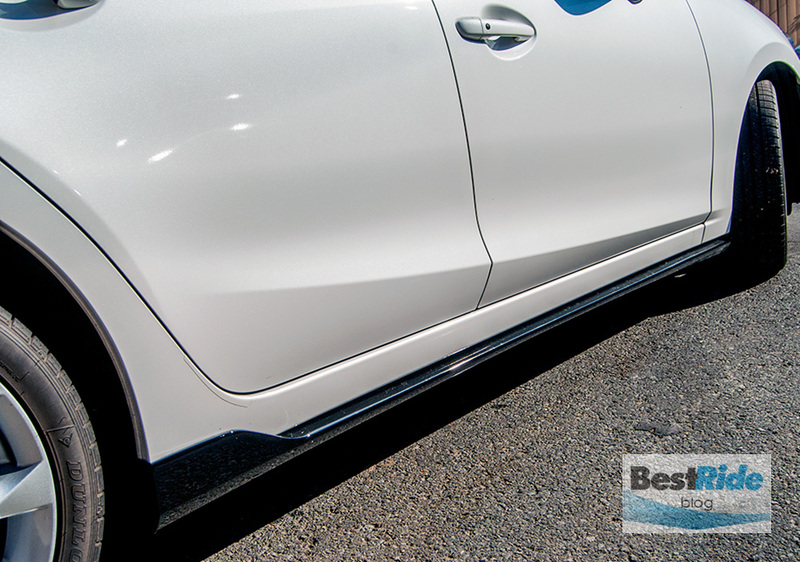 The $200 Snowflake White Pearl paint is dazzling in the sunshine, although a word of caution – pearl-effect paint can be quite pricey to repair, as it is tricky to match. 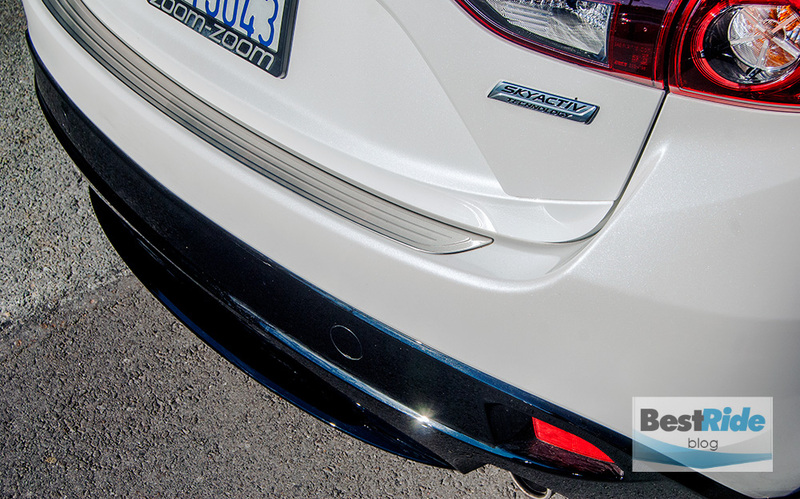 If you expect that your Mazda3 will be experiencing some bump and grind, then I’d skip it. …and piano-black mirror caps. 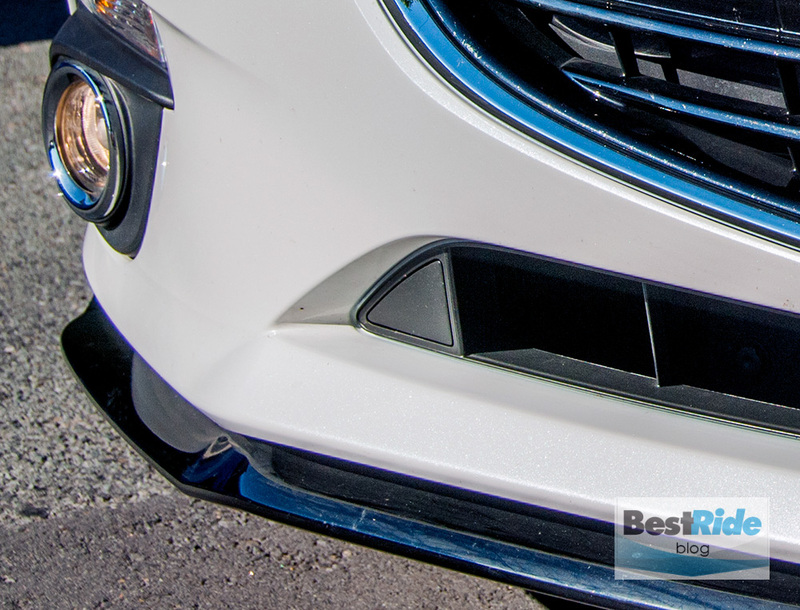 The Mazda3 is attractive enough without these extras, but the enhancements are well integrated if you happen to like them, as I did. The aforementioned 184-horsepower engine liked to rev. It lacks the zing of the Civic Si (201 hp) or the overwhelming force of the Focus ST (252 hp), but it had a willing spirit and usually felt happy in its work. 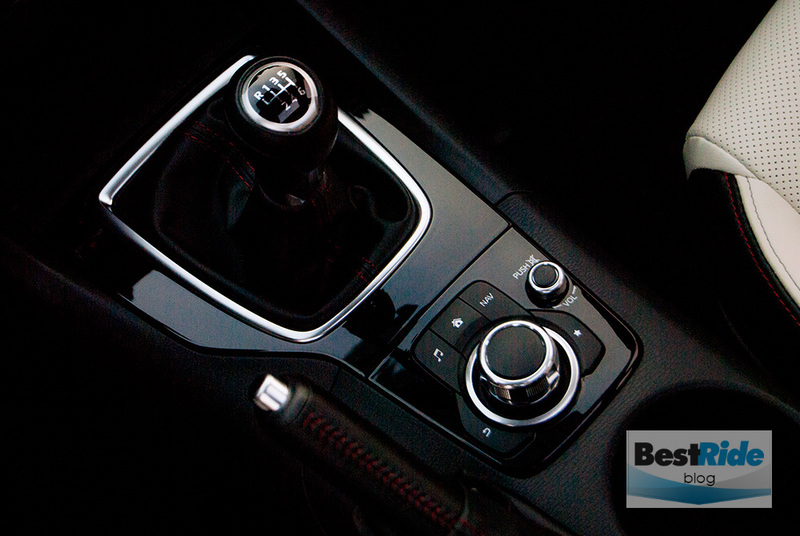 The six-speed manual is typical Mazda in being easy-peasy. 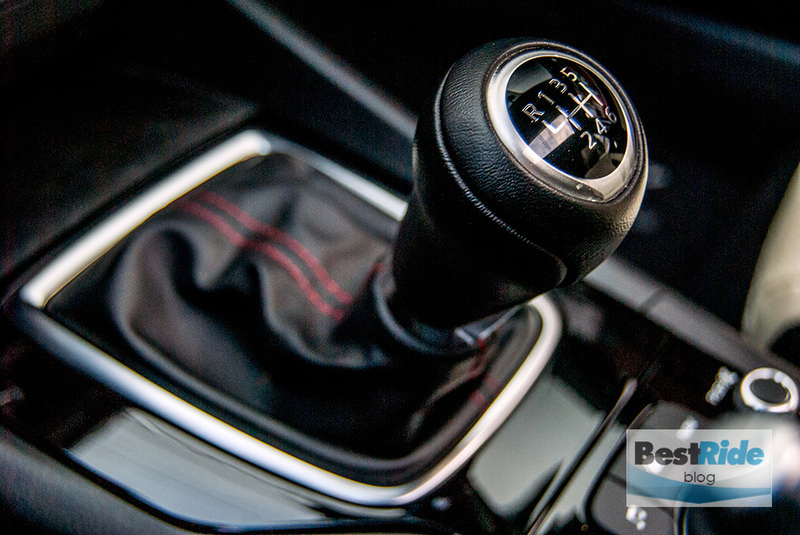 Throws aren’t especially short, but this shifter was a reliable partner in the runs up and down the rev range. 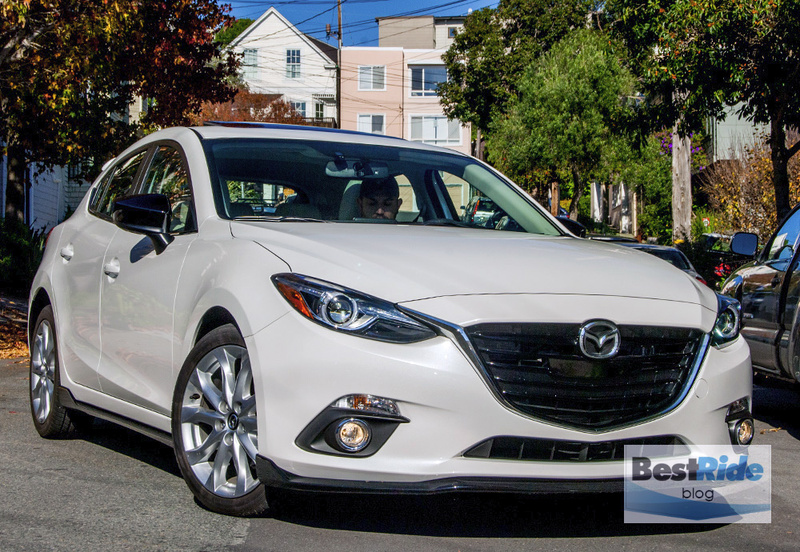 Handling had the usual Mazda3 fluidity, where it feels like there’s something added to the competence of most other compact sedans. With, say, the Corolla, the car can feel like an admirable achievement in its own ways, even as it resolutely refuses to engage you. The Mazda3, particularly in this most enthusiastic and powerful version, adds that extra dimension to its well-designed package. 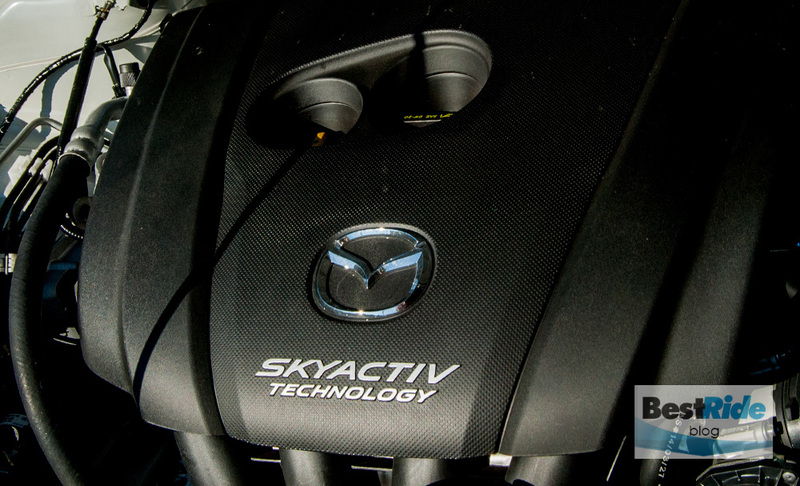 It’s beyond a computer model to something more emotional, and it’s a big part of the Mazda3’s enduring appeal. The calm way it bends into a curve, the lack of forward dive during a panic stop, its even-headedness in the bumpy twisties – there’s more than enough in the Mazda3 for an enthusiast to enjoy. 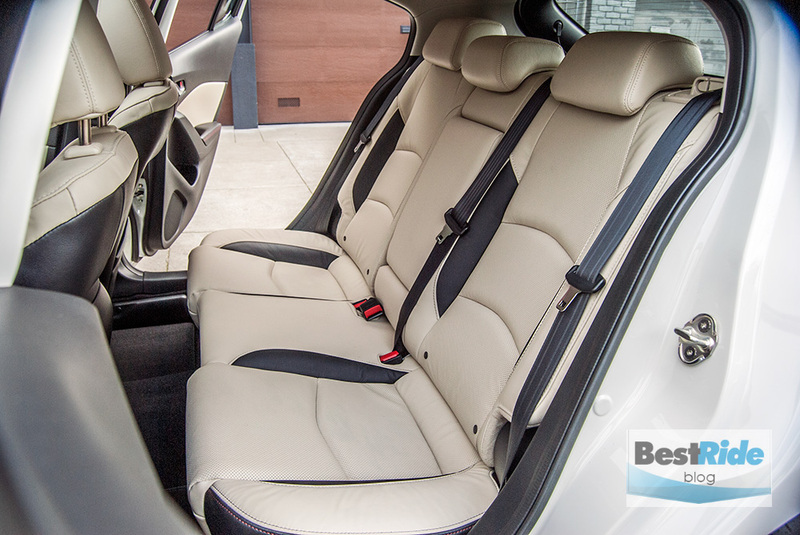 It’s your choice of black or almond-toned leather in the s Grand Touring, and the tester had the latter to great effect. It can get a little dark in there when everything is the color of night, and the so the almond is a very welcome lightening touch. The black insets on the bolsters are another well-integrated bit of flash. The almond accents extend to the doors. In back, headroom says the same between the sedan and hatchback at a mid-pack 37.5 inches with the moonroof, but legroom is a little tight at 35.6 inches. It has more than two inches over the very tight Focus, and it matches the Volkswagen GTI’s measurement, but an inch or two more would be just fantastic for those of us over six feet tall. The instrument panel is an exceptionally clean design, although my friends were evenly divided on the permanently standing center screen; some thought it was techy, and some thought it was excessive. I thought it was another nice accent, maybe not so well integrated but still neat and eye-catching. 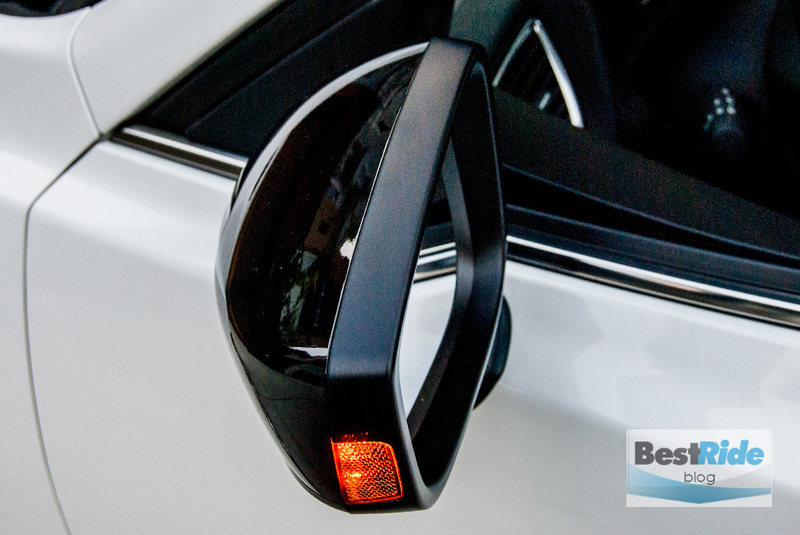 The clear Active Driving Display is standard with the Grand Touring and was another neat and useful touch. 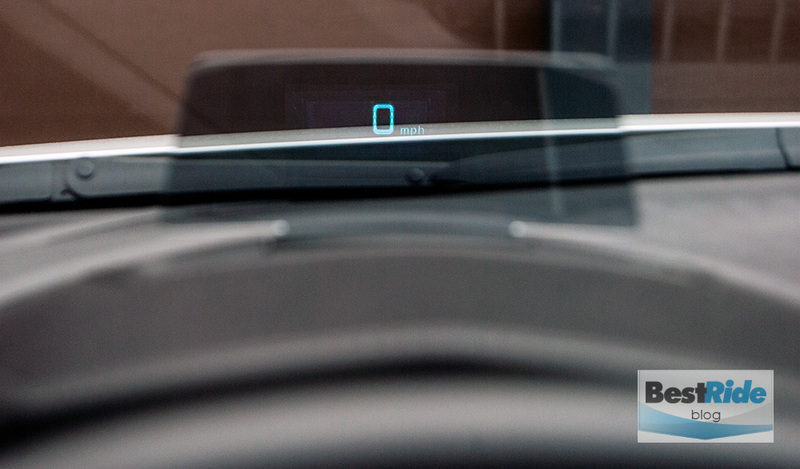 The center controller for the screen is well-positioned in front of the shifter, where it falls readily to hand. 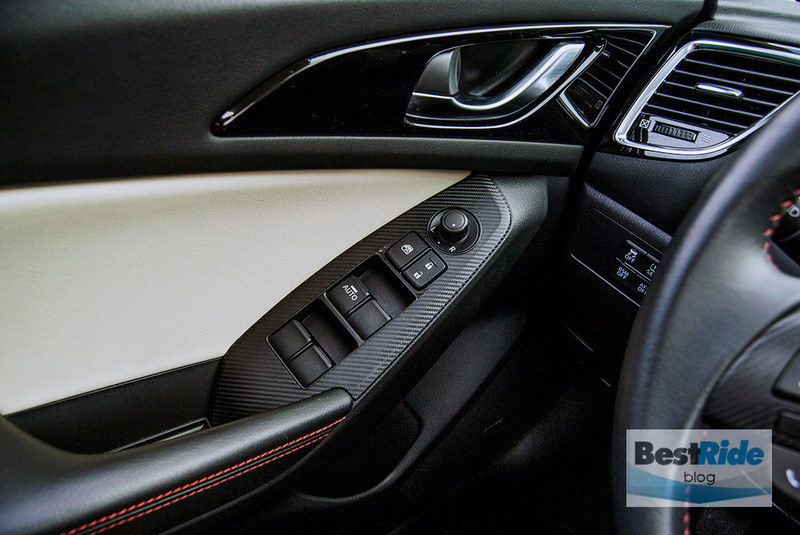 It’s the mark of an upscale car to be able to manipulate a knob rather than having to accurately stab at screen. 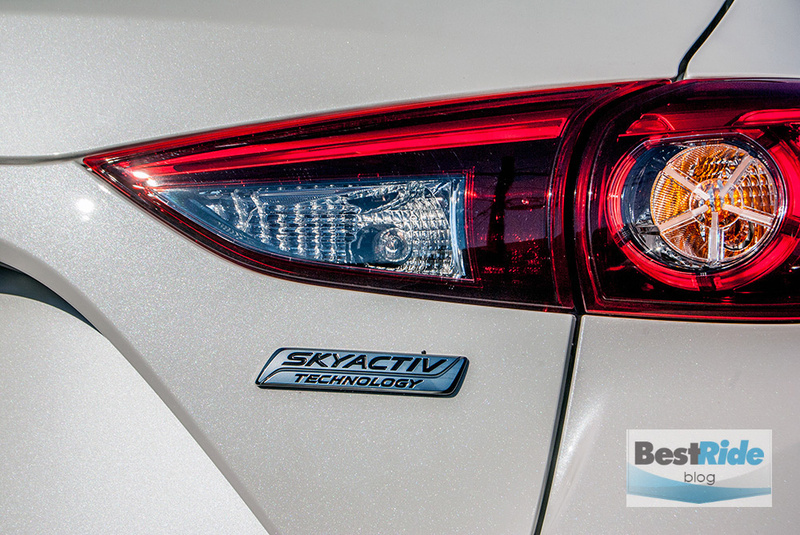 So chalk this up to another rave for the Mazda3. 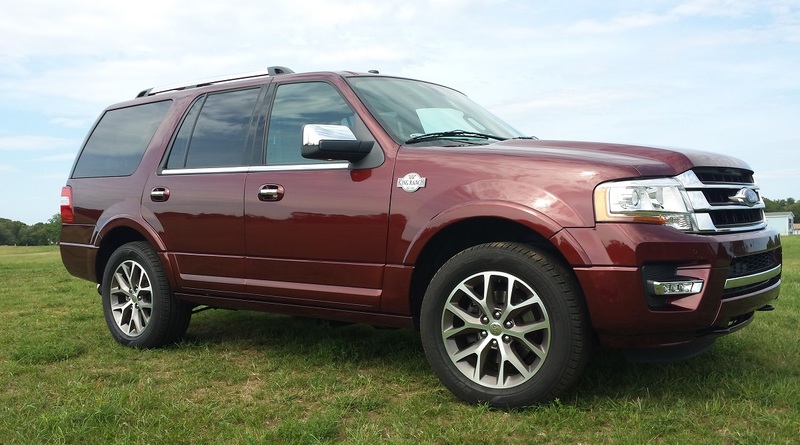 There are more powerful cars for the price, but none of them have this one’s own pleasing interpretation of the complete enthusiast’s car. The number of sport sedans with manual transmissions is shrinking, but the ones still standing each have their own distinct flavor, and that’s a win for anyone shopping this market.